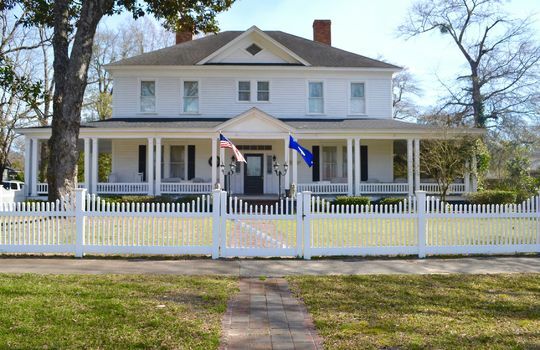 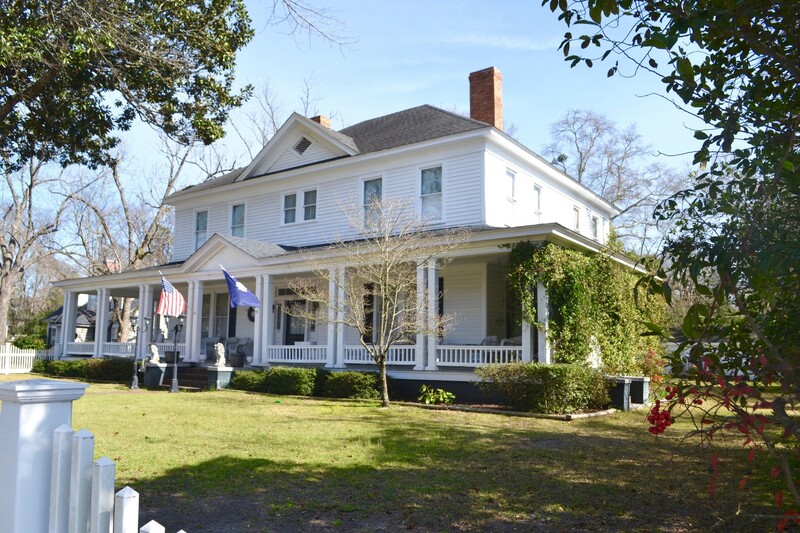 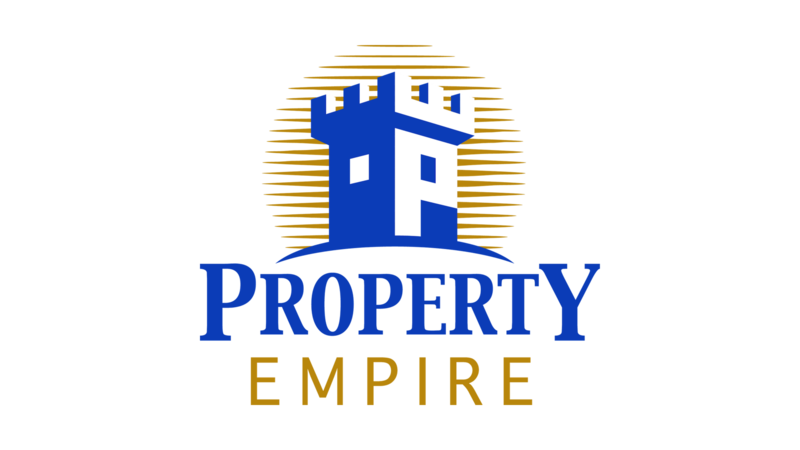 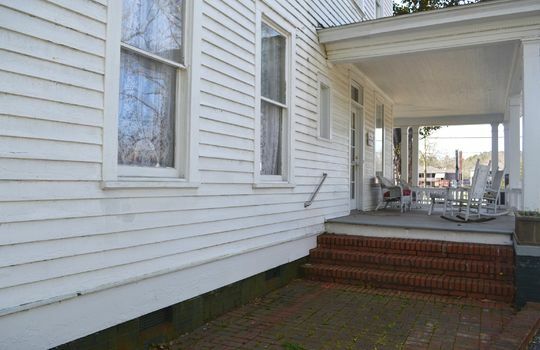 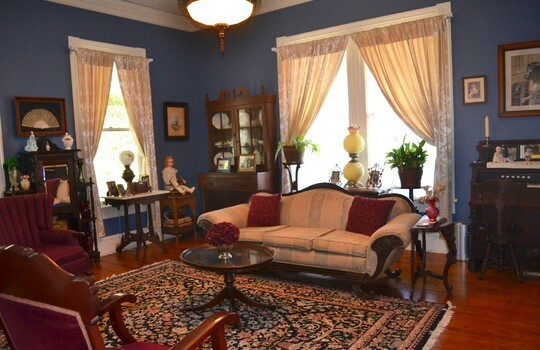 This grand Colonial style home was built in 1909 and has been continually updated in the 2000's, including wiring and plumbing, to preserve it's splendor while modernizing where appropriate. 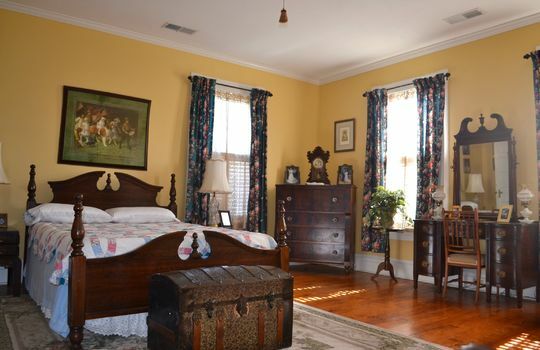 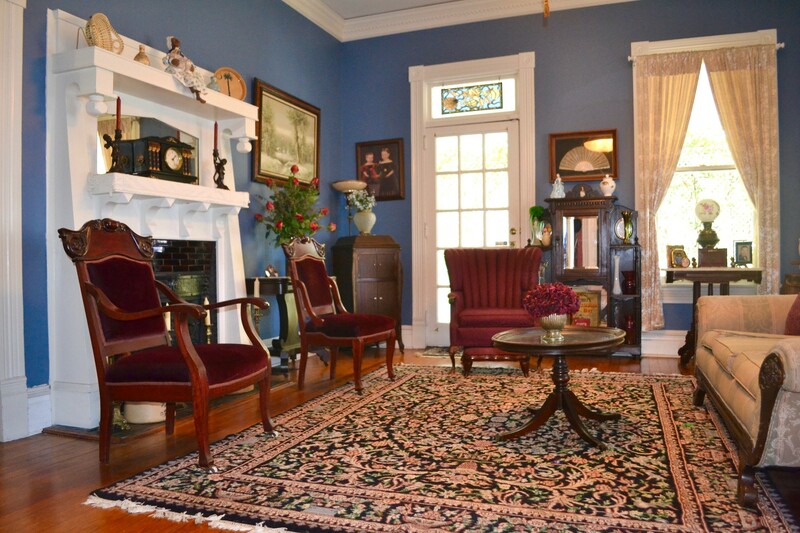 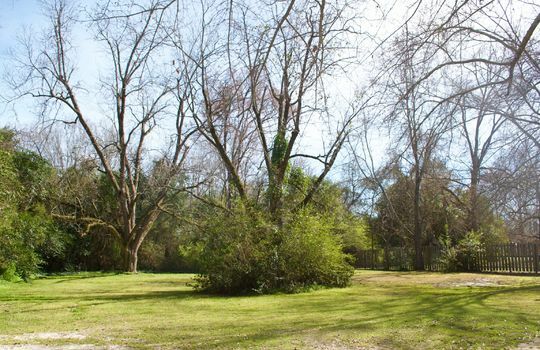 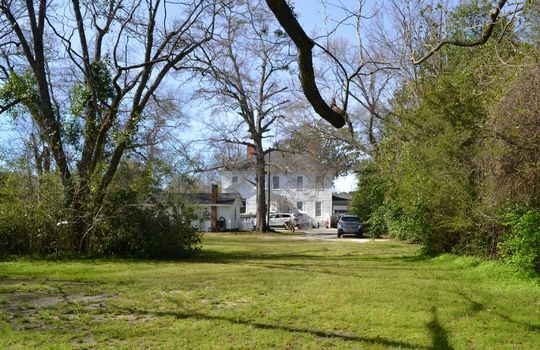 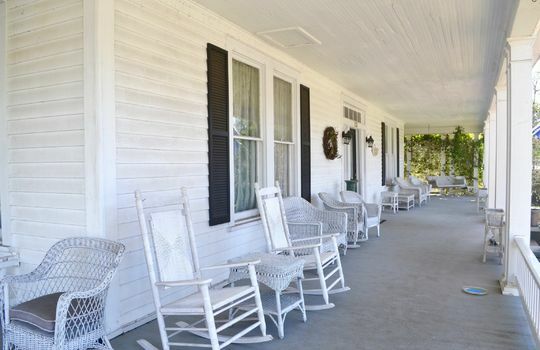 The home is situated on .78 acres of flat land surrounded by large oak, pecan, and magnolia trees. 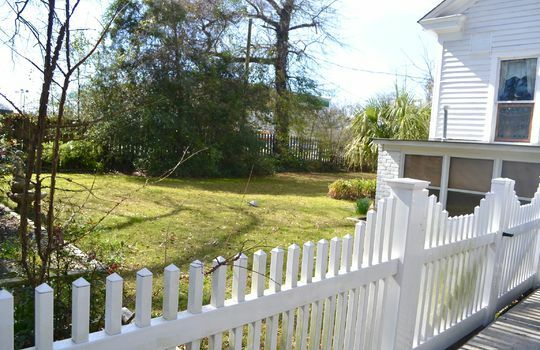 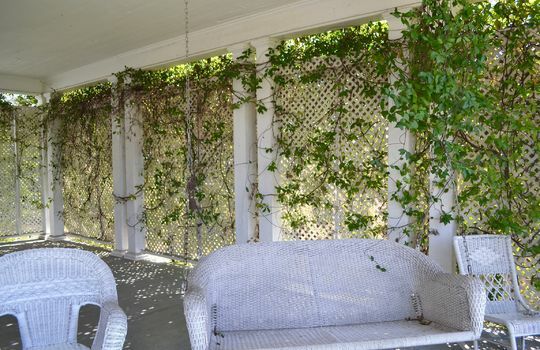 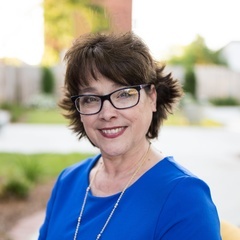 Privacy provided by the shady trees is further enhanced by a Charleston style brick patio, added in 2015, with its own privacy fence. 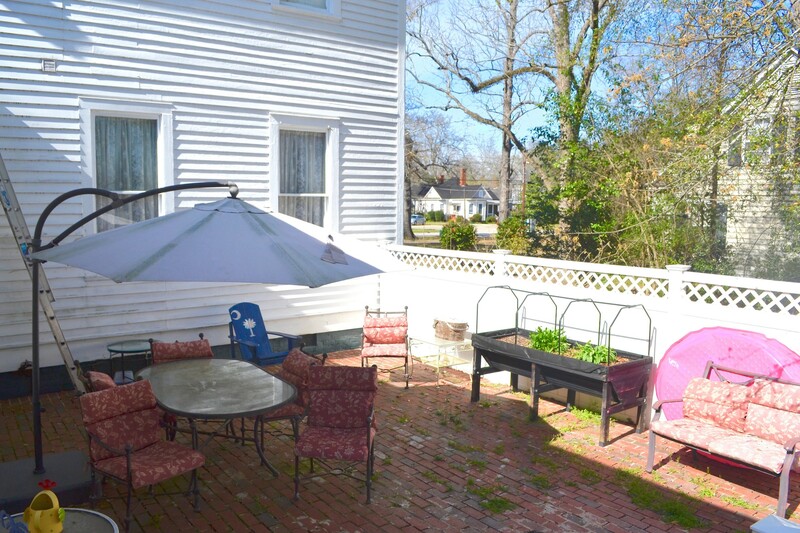 The spacious patio has ample room for entertaining, as well as a raised garden for vegetables and flowers. 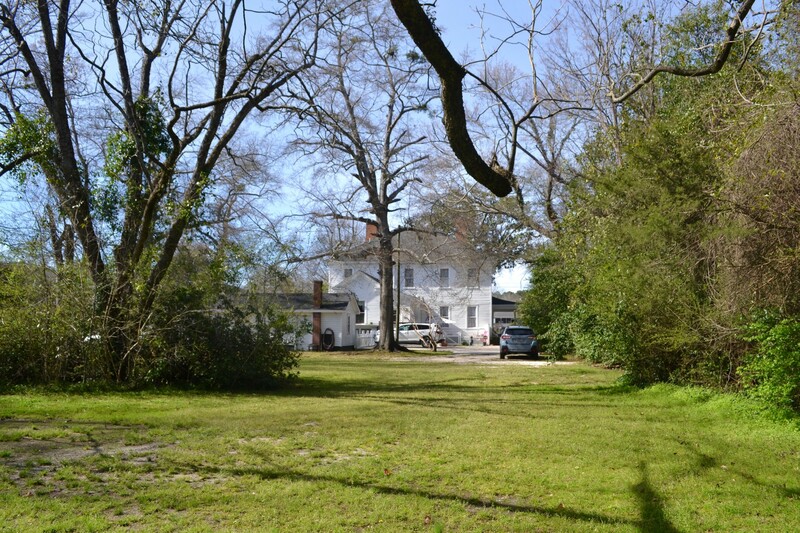 A crushed gravel driveway leads to an ample parking and turnaround pad. A white vinyl picket fence installed in 2014 encloses the front and side yards to allow ample safe space for pets. 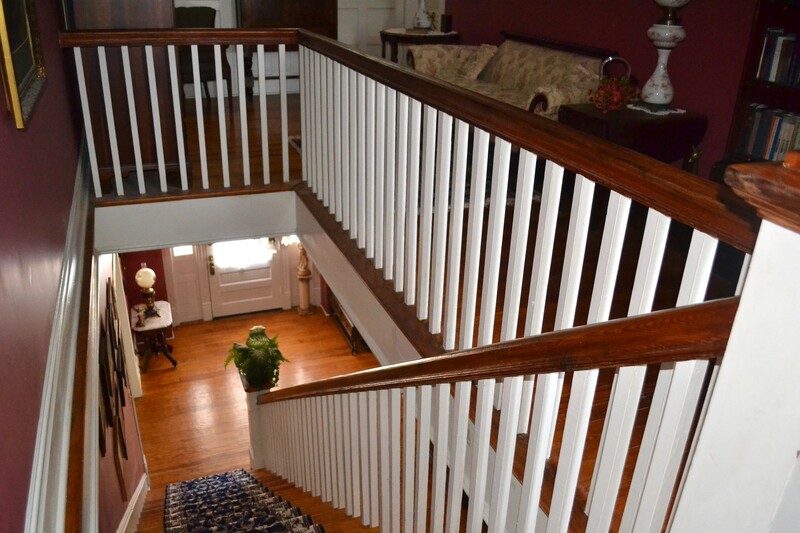 Inside the fence at the back of the house, a wooden deck installed in 2016 affords entrance to the back portion of the main floor. 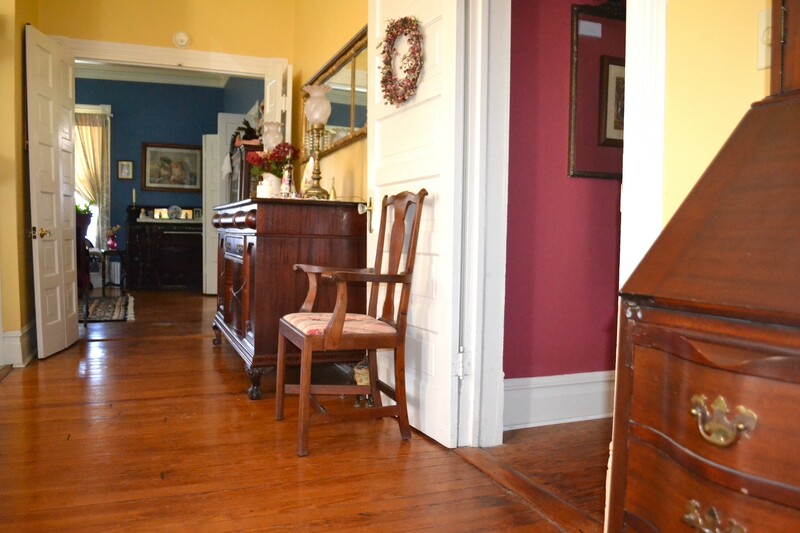 The home has 4 entrances, including the original wood and beveled glass 42" wide front door with an 1874 unique brass doorbell. 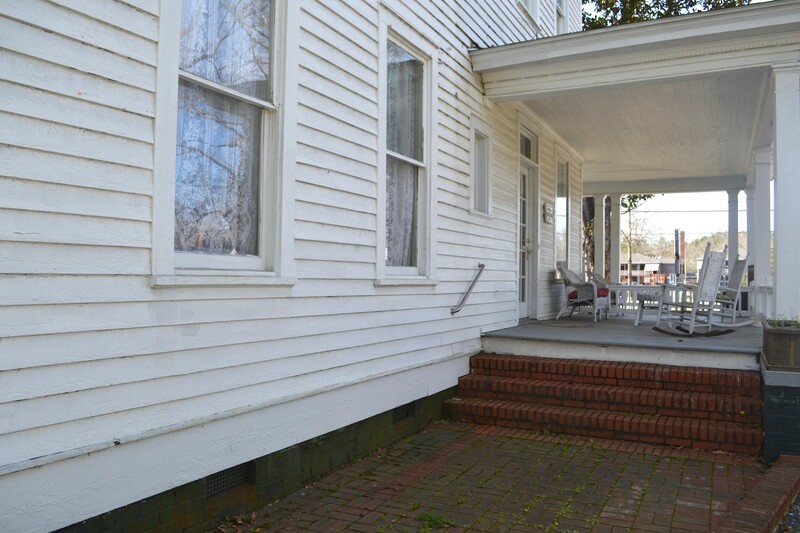 There is one entrance on each side of the 1100 sq ft wraparound porch. 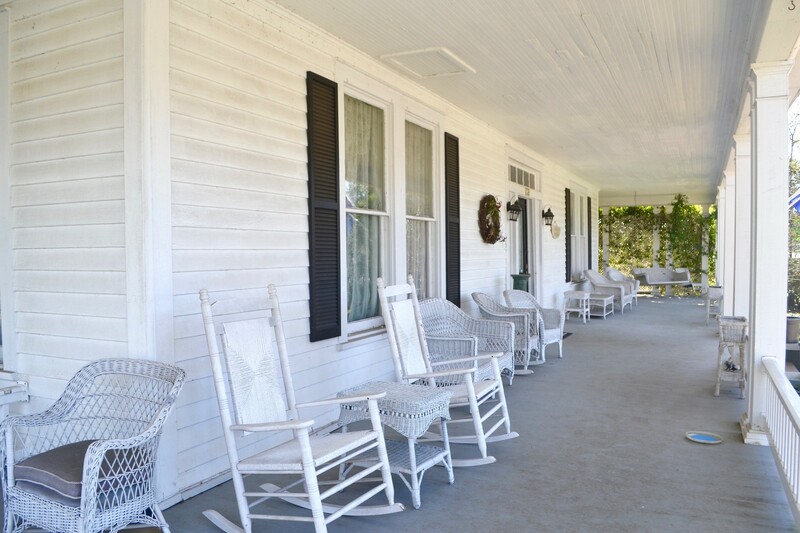 The porch was re-floored with cypress and railings installed in 2014 and re-roofed in 2016. 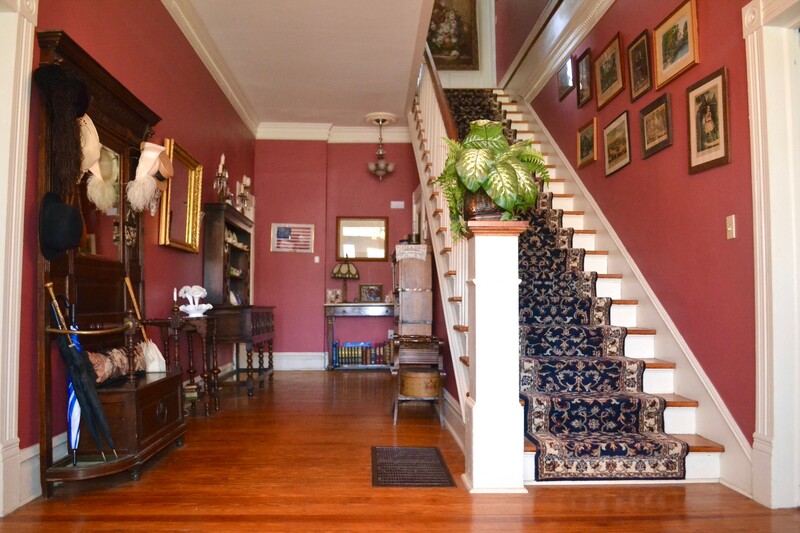 Entering through the front door, you are greeted by a spacious foyer graced by the original heart pine floors, 11' ceilings with unique dental molding and an antique chandelier. A center hall stairway with an installed full-length Oriental runner leads to the second floor. 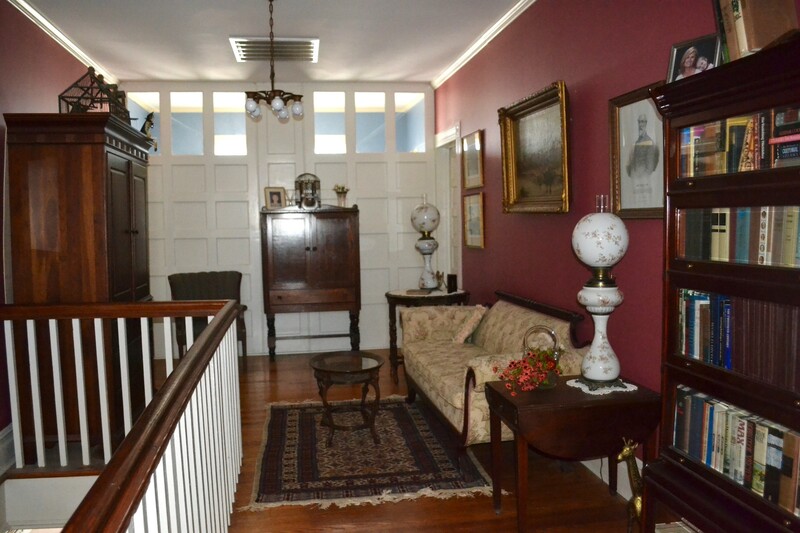 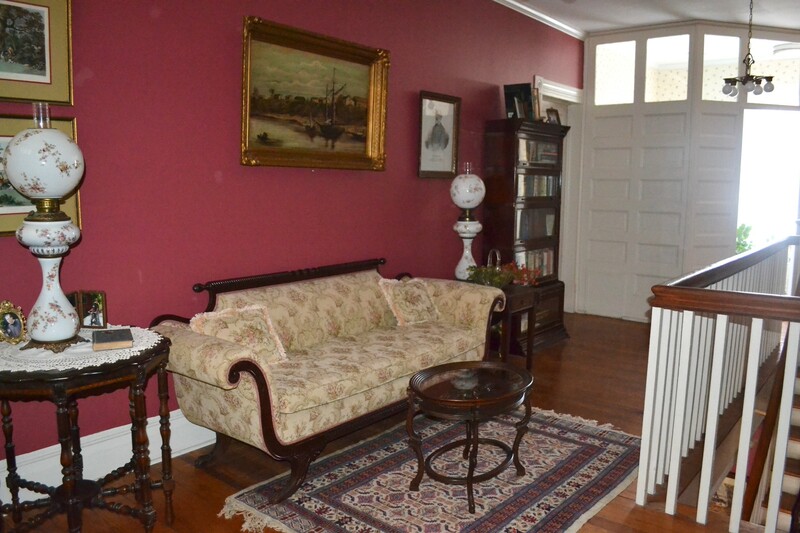 Continuing on the first floor, there are unique double doors on either side of the foyer affording access to the parlor and the living room. 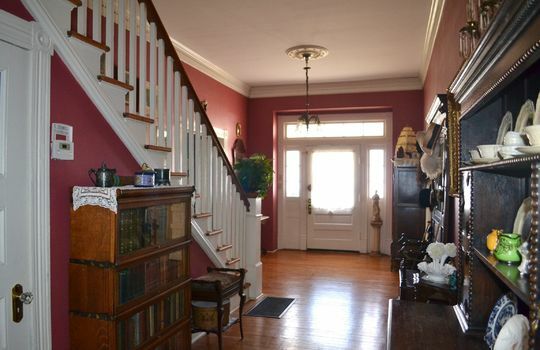 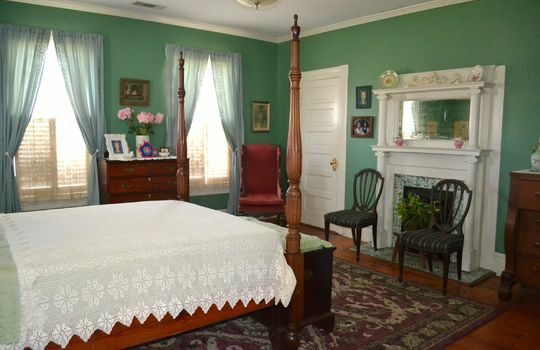 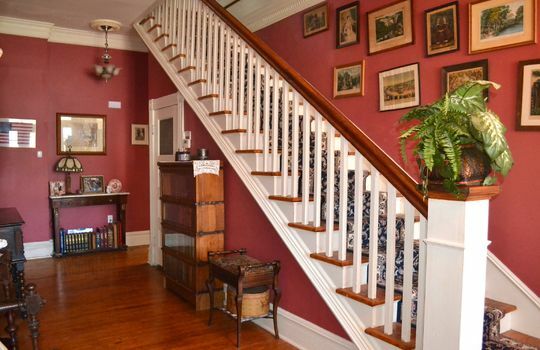 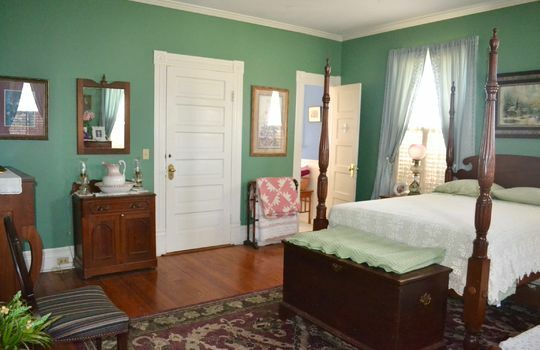 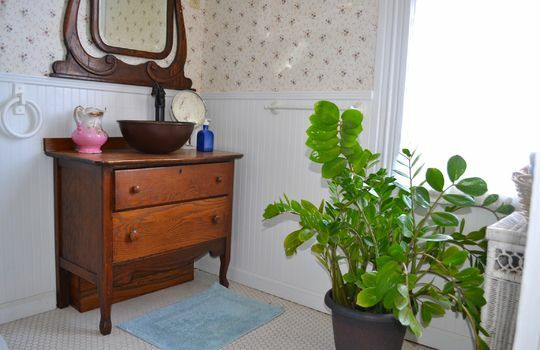 Throughout the home, you will find heart pine floors and antique chandeliers. 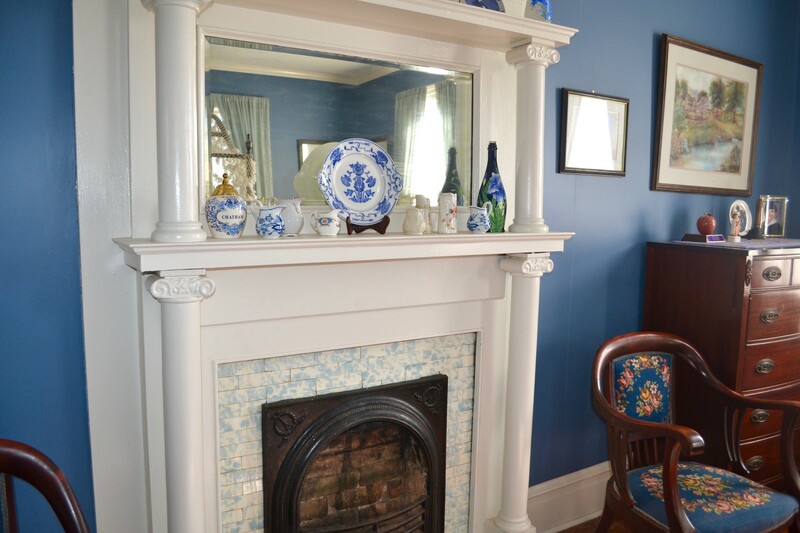 A double mantel fireplace is the focal point of the parlor. 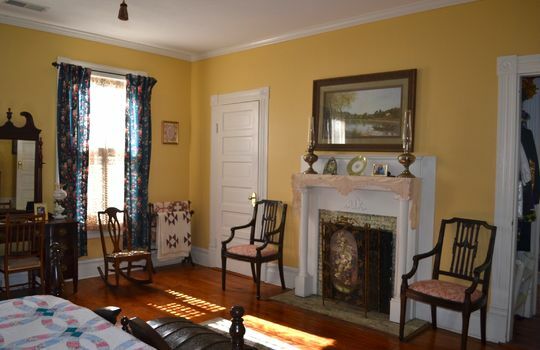 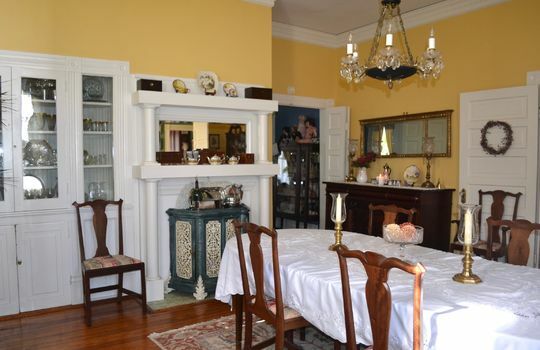 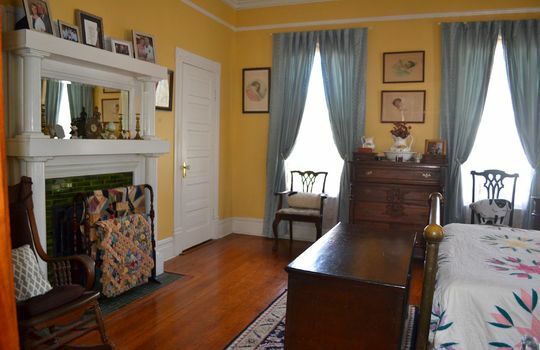 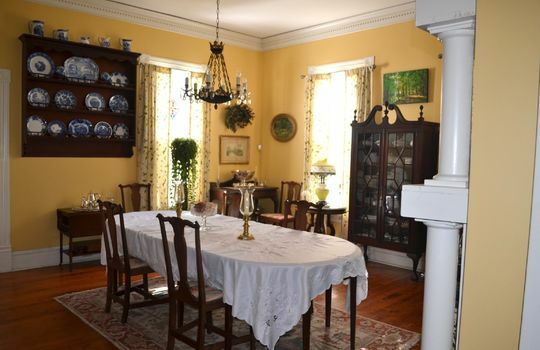 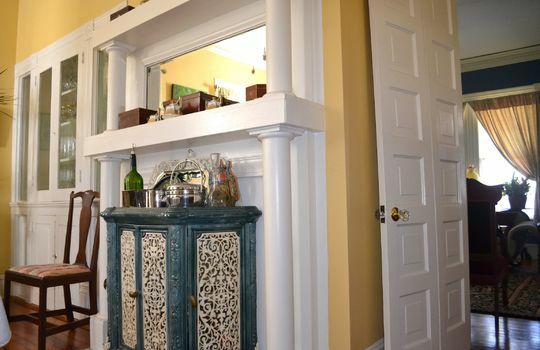 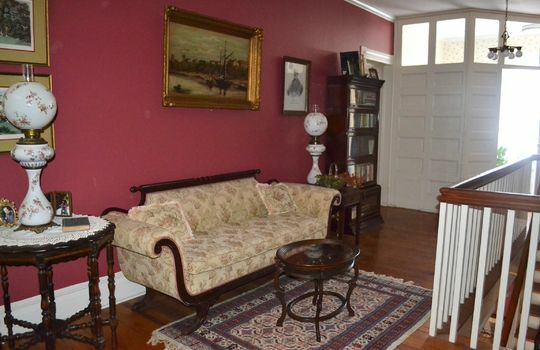 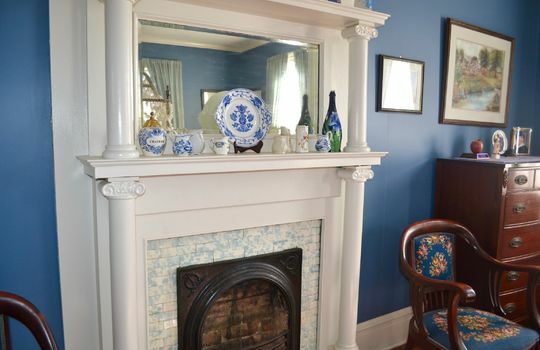 Eight fireplaces, 6 with double mantels, are found throughout the home. 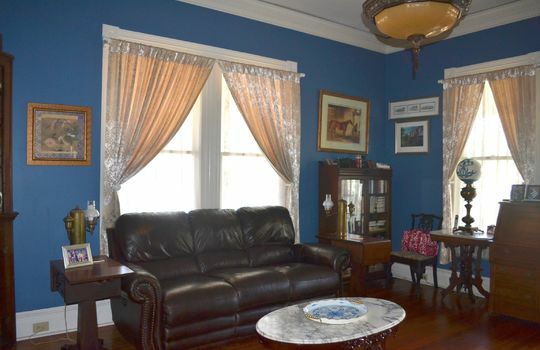 The gorgeous hanging chandelier and drapes match those in the living room across the hall. 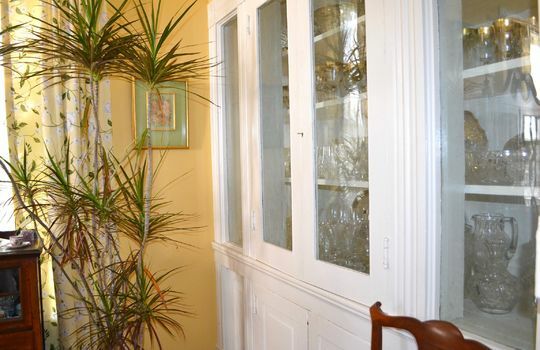 Double doors lead from the parlor to the huge dining room with space for a 106" dining table. An Empire style brass and crystal chandelier and antique French lace curtains add beauty to this room. A built-in cupboard with upper glass front and enclosed bottom afford ample display and storage of your crystal and china. 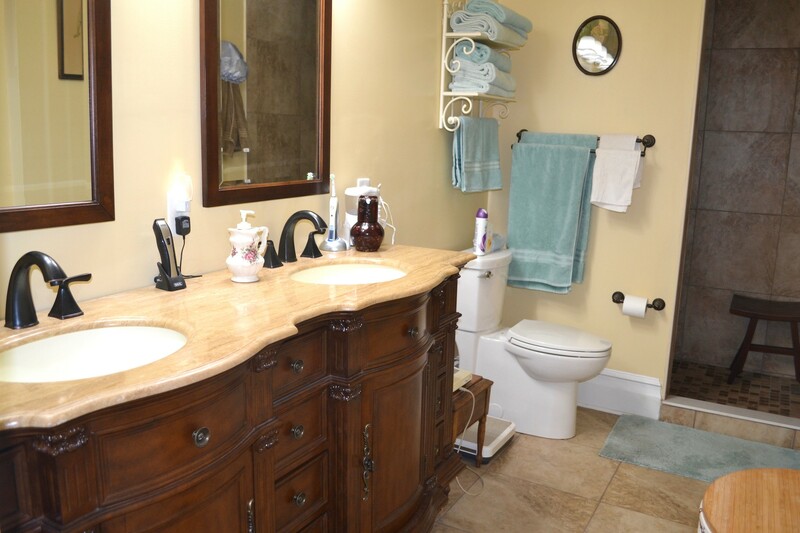 Across the hall from the dining room is the larger master bedroom with 2 closets and an updated bathroom featuring tiled floor, double sink vanity, and walk-in show with multi-function shower system. 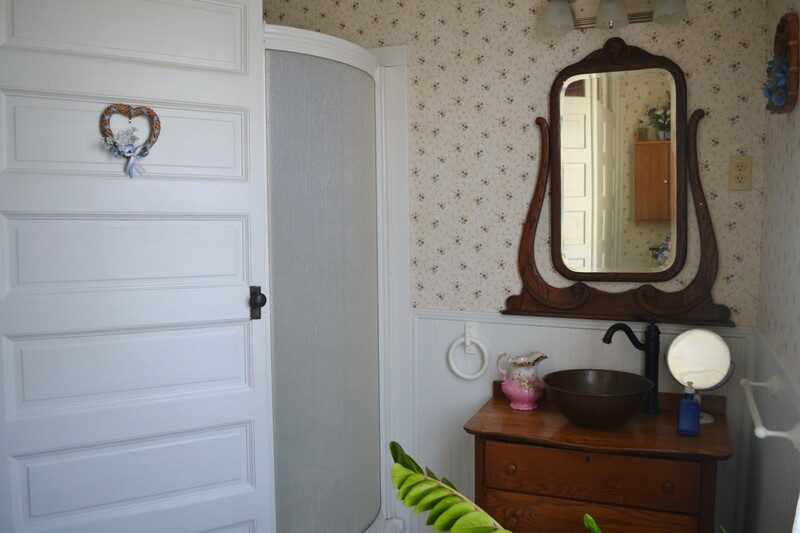 There is also a new 2-piece powder room for guests across the hall. 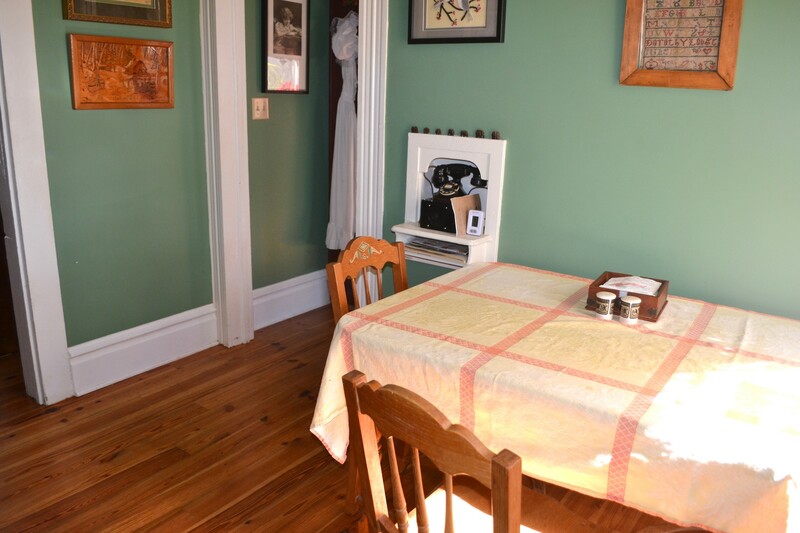 The remainder of the first floor including the home office, breakfast room, kitchen, and laundry/mud room features reclaimed heart pine floors installed in 2015. 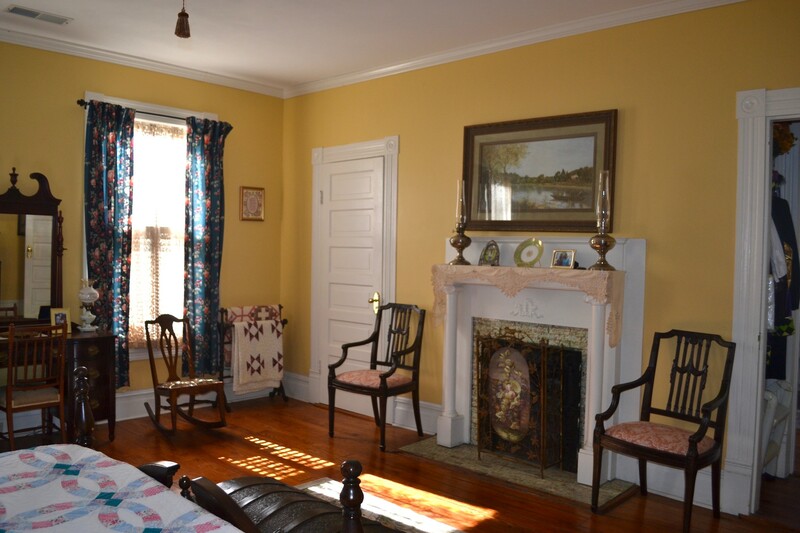 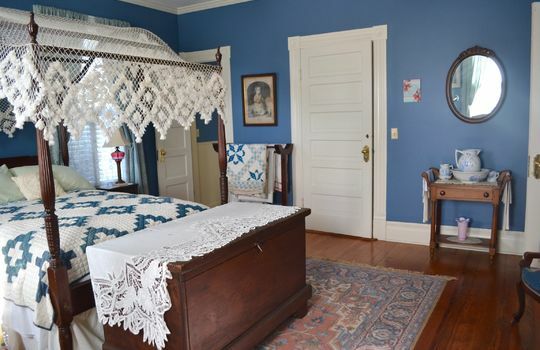 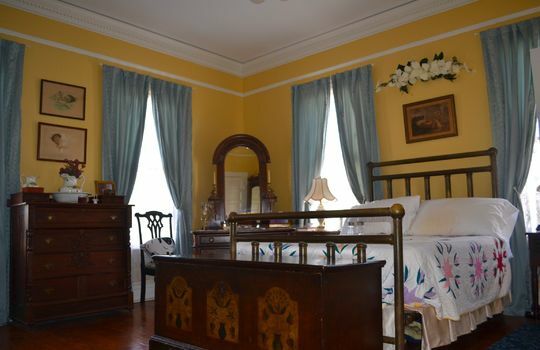 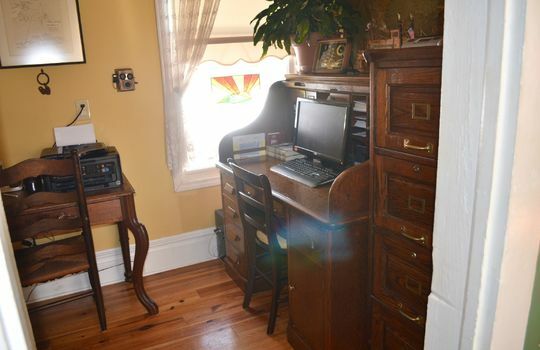 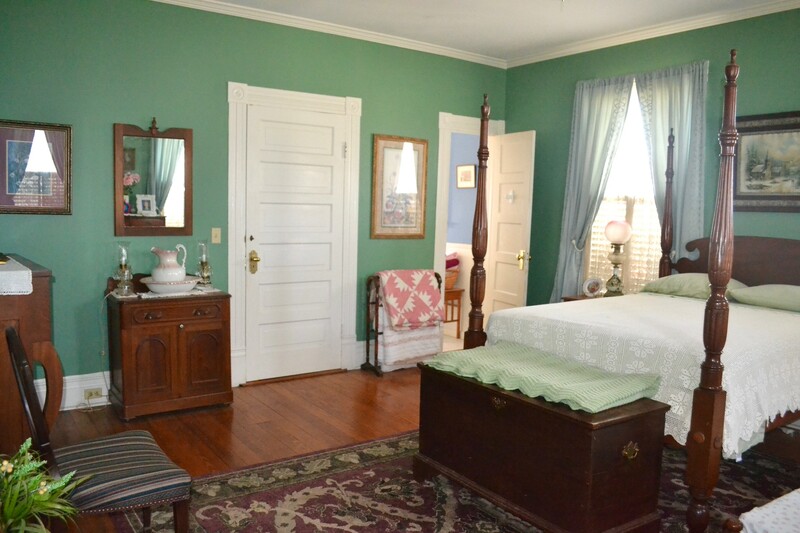 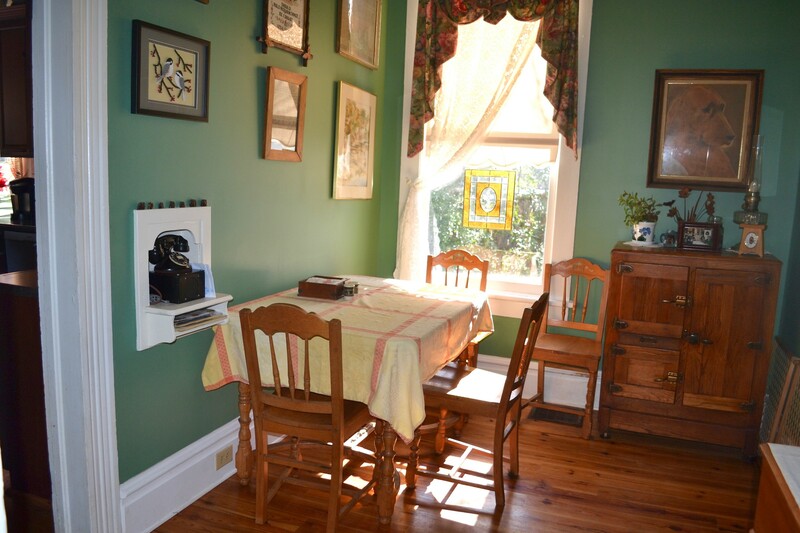 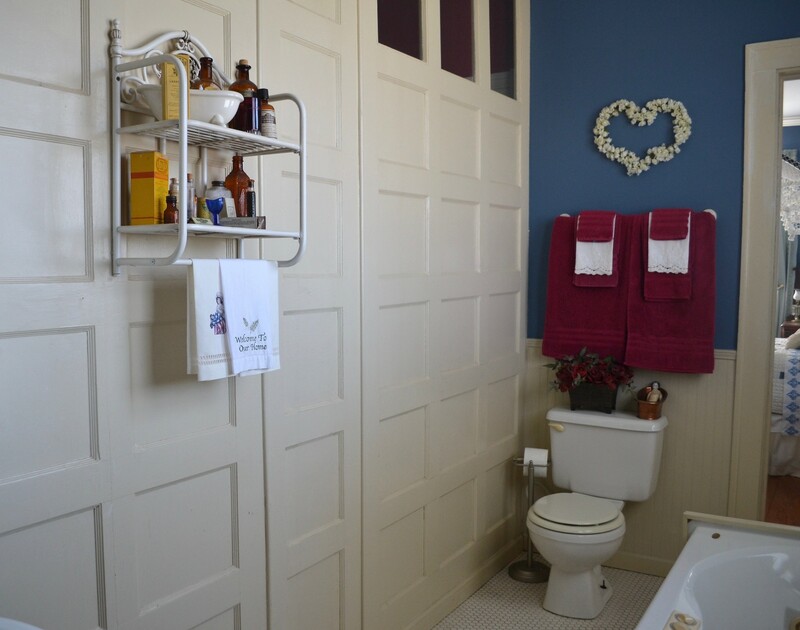 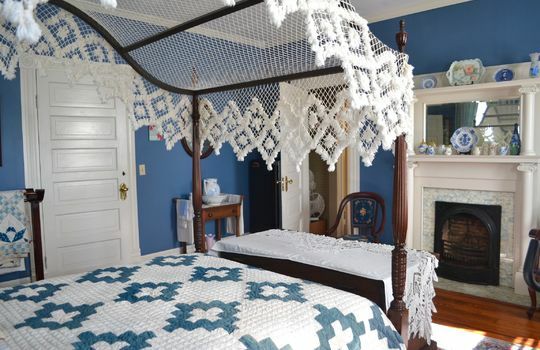 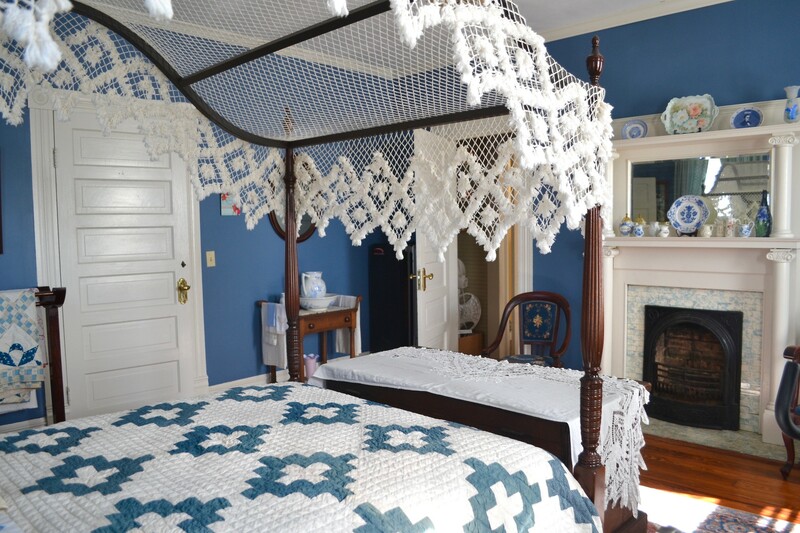 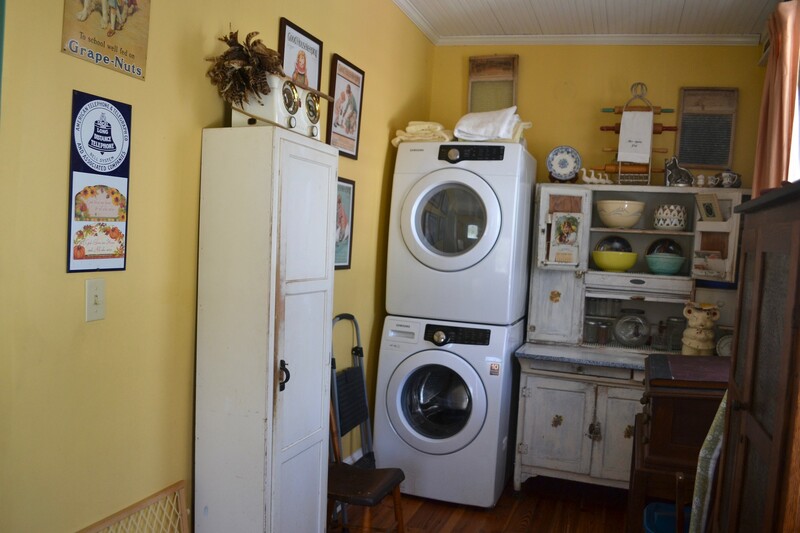 The office and laundry rooms have beadboard ceilings and antique chandeliers. 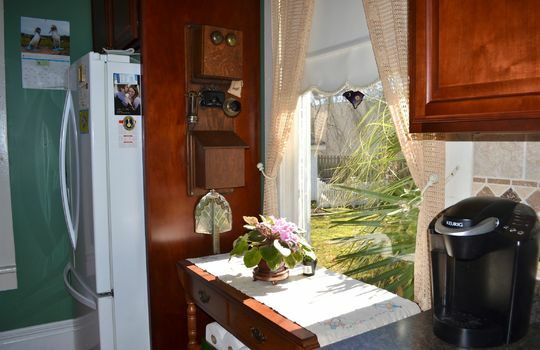 The breakfast room has a custom valance and chandelier. 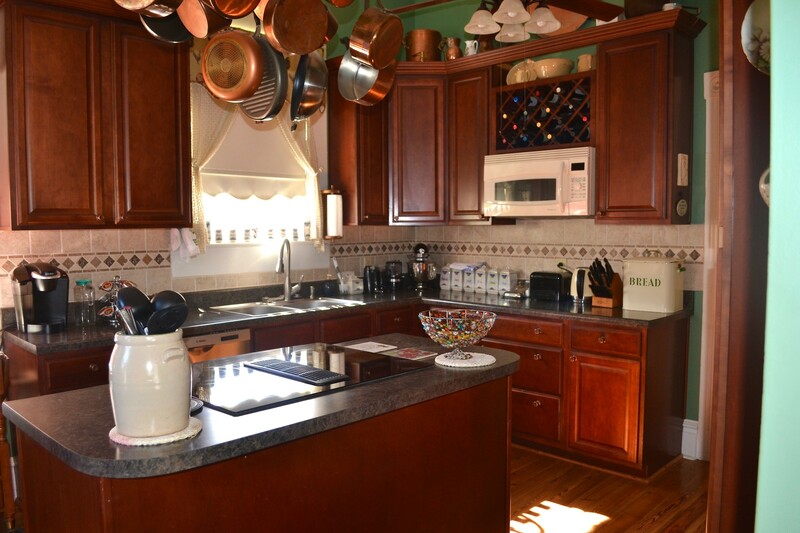 The updated kitchen features newer high-end appliances and an island with a Jenn Air downdraft cooktop and oven. 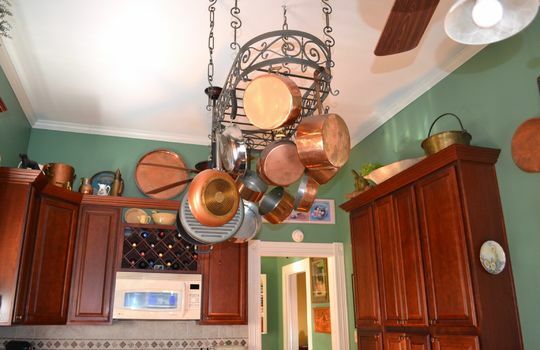 Above the island is a large hanging pot rack for use and display. 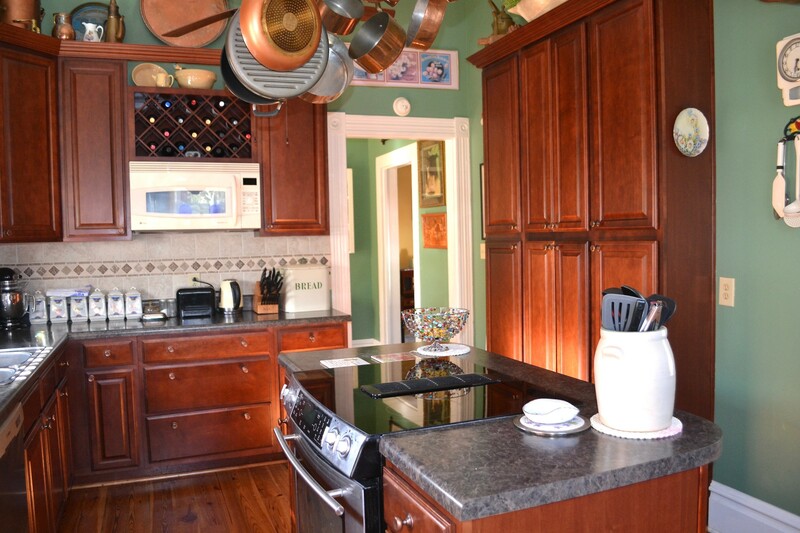 Ample cherry cabinets and a tiled backsplash make the kitchen functional and attractive while 2 fans circulate the air. The laundry room appliances are full sized Samsung HE front loading that may be stacked or stood side by side. 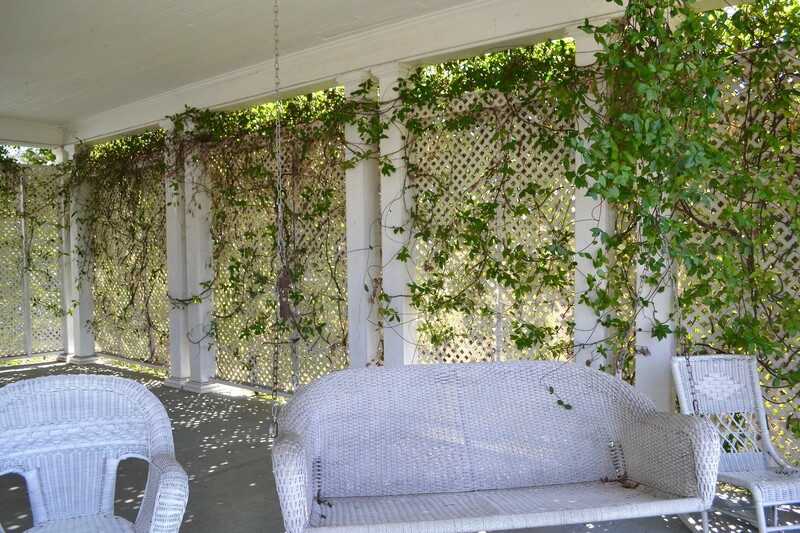 A leaded glass security door leads to the back wooden deck. 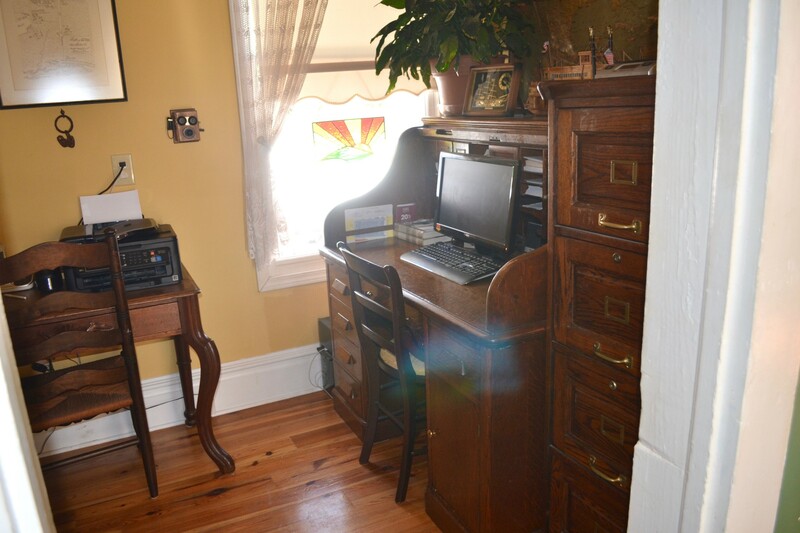 There is a security system installed in the home. 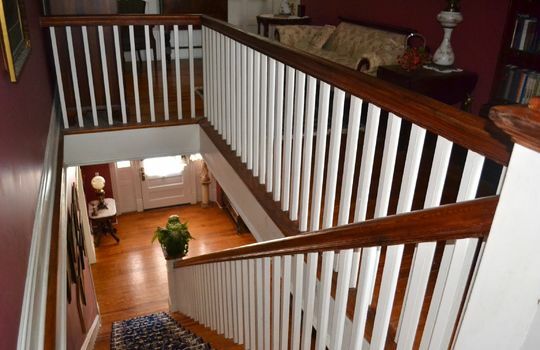 Up the stairs from the foyer, is a large sitting area with access to 4 large bedrooms, 2 full bathrooms. 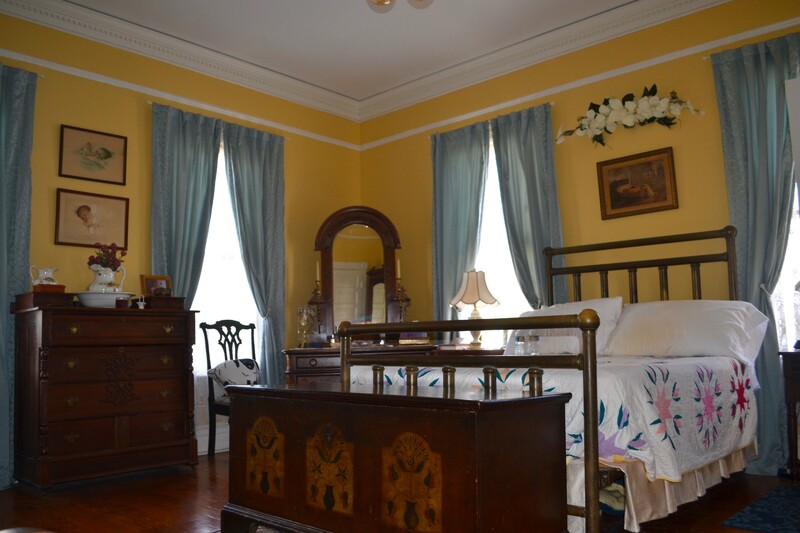 Each bedroom has a fireplace, antique light fixture, and window treatments including wooded indoor plantation shutters on the windows. 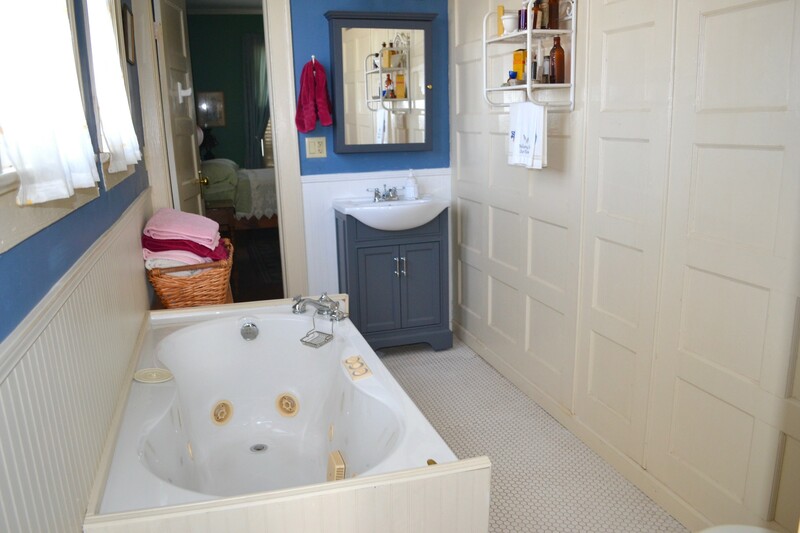 One bathroom has a jetted tub, the other has a shower. 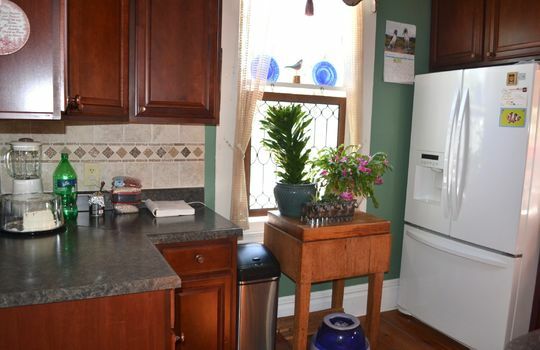 Both have tiled floors. 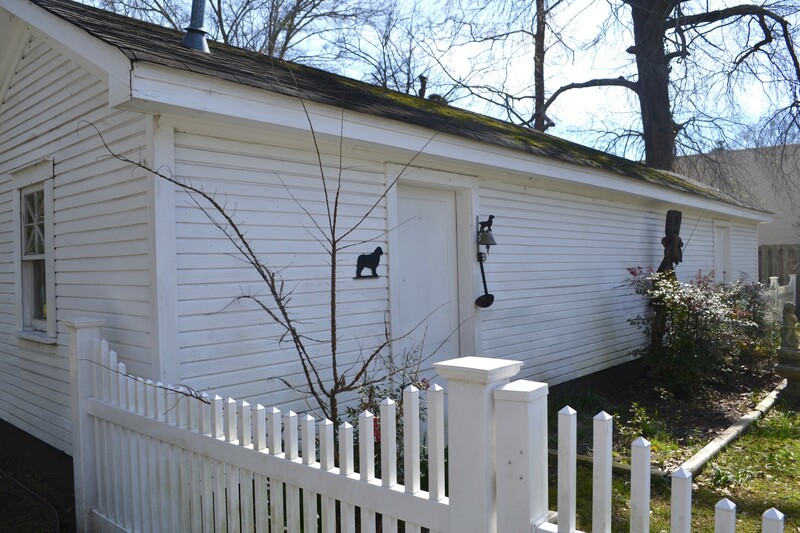 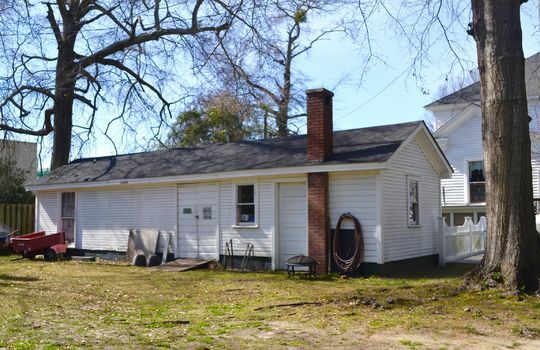 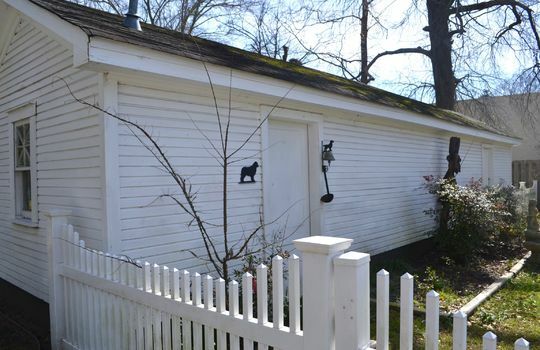 A large outbuilding with 3 rooms houses a workshop, garden tractor and tool storage, and a shelved storage area. There are 2 newer gas pack heating and cooling units. 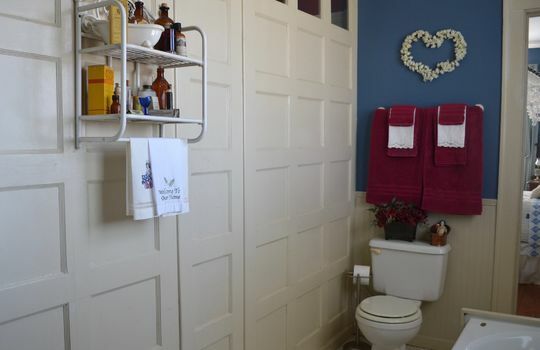 The gas water heater is located in another attached storage area. 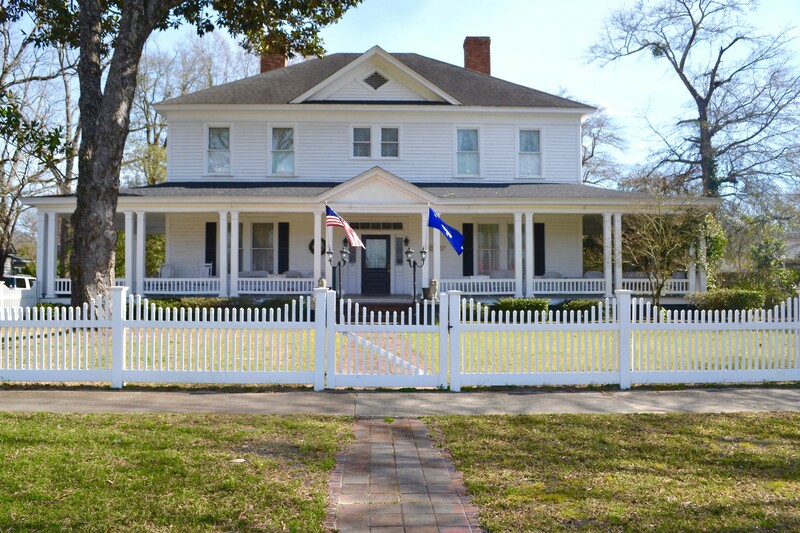 It's a home you dream of ... white picket fence, large front porch for conversations, and all the beauty a historical affords. 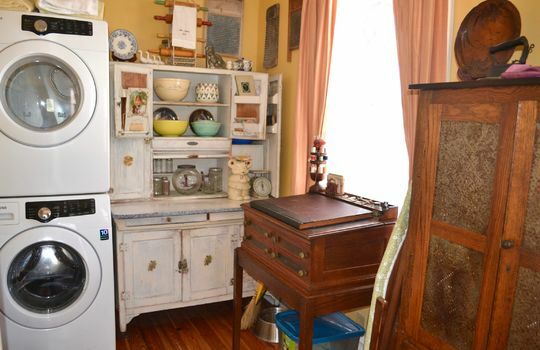 Kitchen appliances, washer & dryer to convey.